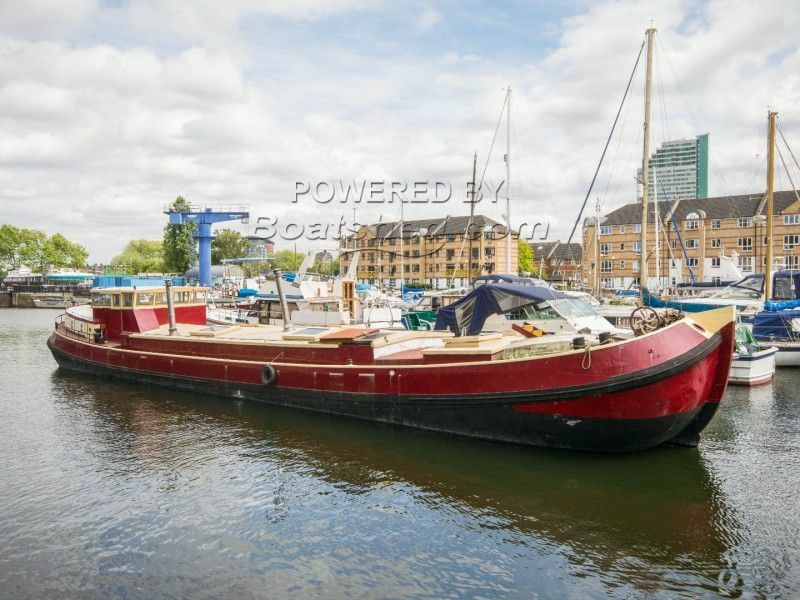 Boatshed London are delighted to offer this 85ft Dutch Barge for sale with desirable South Dock residential mooring. Built in 1914, this barge has large amounts of living space across two cabins, a huge saloon and a separate kitchen at the stern with a wheelhouse providing views out across the marina. The current owner has had the boat for over 25 years and has lovingly maintained the boat throughout that time with new roof hatches installed that let in plenty of natural light and work to the hull and wheelhouse carried out three years ago. The residential mooring at South Dock is fully transferable on agreement with marina management. South Dock is one of the most desirable marinas in London with a huge waiting list and this is due to its proximity to central London and great transport links. Current mooring fees are approximately £10,100 p.a. but are subject to change. This Dutch Barge 25m With London Mooring has been personally photographed and viewed by Angus Rose of Boatshed London. Click here for contact details.